Established in the year 2010, we, Amba Steel & Metal Udyog are the manufacturer of Hatch Boxes and Cascade Pressure Relief Damper. We are the service provider of Hatch Pass Box Maintenance Service. 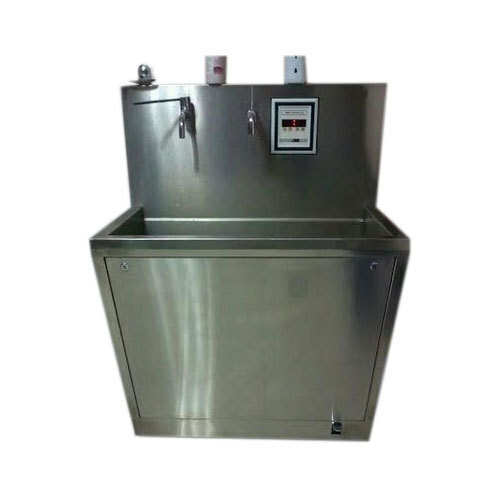 We are the manufacturer of Hatch Boxes, Scrub Stations, Clinic Storage Cabinets, Surgeon Control Panel, Laminar Air Flow Room, Magnetic Writing Boards, Prefabricated Operation Theatre and Cascade Pressure Relief Damper. We are the service provider of Hatch Pass Box Maintenance Service. These products are manufactured using the superior quality raw material, which is sourced from the most trustworthy vendors of the market. Available at market leading prices, these products can be customized as per the clients' exact requirements and needs.